IRTA Selected Almonds, with outstanding agronomic and commercial behaviours, are characterized by late blooming time (reducing frost risk), self-fertility (decreasing pollination problems), high cropping capacity, disease tolerance and high quality fruits. 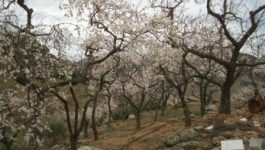 Improved plant material is a key factor in new irrigable almond orchards, and traditionally local Spanish and Mediterranean cultivars have had significant limitations. 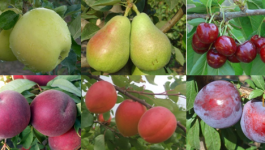 The range of traditional cultivars has undergone a remarkable renewal over the last 25 years due to the spread of varieties generated by the breeding programmes. 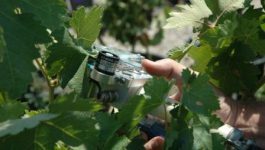 Some years ago IRTA registered three cultivars: ‘Masbovera’, ‘Glorieta’ and ‘Francolí’ with features more adapted to the current climate and orchard needs. These varieties achieved a wide distribution and high acceptance with almond producers with reported plantations of around 600,000 plants worldwide. As a result of the efforts of its own breeding programme, in 2011 IRTA released ‘Vairo’, ‘Constantí’, ‘Marinada’ and ‘Tarraco’ varieties. These new IRTA Selected Almonds, which obtained the Plant Material Rights from the Spanish and Community Plant Variety Office, have been very well received by the sector and are being distributed very quickly in selected nurseries around the world.